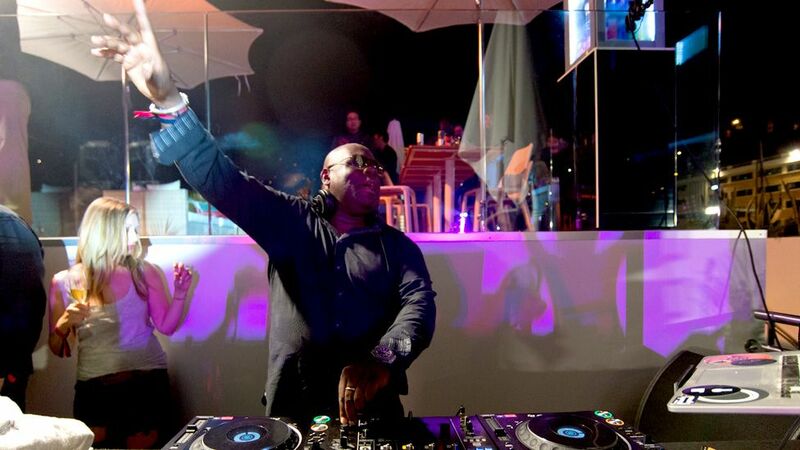 Space is one of Ibiza's most iconic clubs and Carl Cox is the DJ who has made it sing for nearly 15 years. The two are as synonymous as the Louvre and the Mona Lisa, Mickey Mouse and Disney World, Old Trafford and Sir Alex. But on Tuesday that partnership came to an end. The keys to Space are changing hands and Cox has decided to walk away. These are the final 10 tracks that brought a close to a decade and half of his Music Is Revolution residency. Brought up in Oldham by Barbadian parents, by the late 1980s Cox had become a mainstay of the UK's rave scene. He'd been DJ'ing since he was 15 years old and was named DJ Magazine's No1 DJ in the world award in 1996 and 1997. Space began in 1989, when Pepe Rosello took over. The 80-year-old and Cox are great friends and the DJ says he couldn't perform there without Rosello in charge. Cox is renowned for his marathon sets. His final one lasted more than nine hours. Known as the "nicest man in techno" he says that the sound in Space's main room is better than anywhere else in the world. He loves cars and reckons he has over 20 classic models and 90 motorcycles in his collection. His favourite comedian is Ross Noble. Cox says he'll be back DJ'ing in Ibiza soon, but it'll probably only be for three or four weeks a year. He says he didn't worry about what to pick for his last track, it just came to him.